Van Bob Henderson kregen we de volgende mail:"Please enjoy my 11 Geo-Magic Squares in the attached spreadsheet. 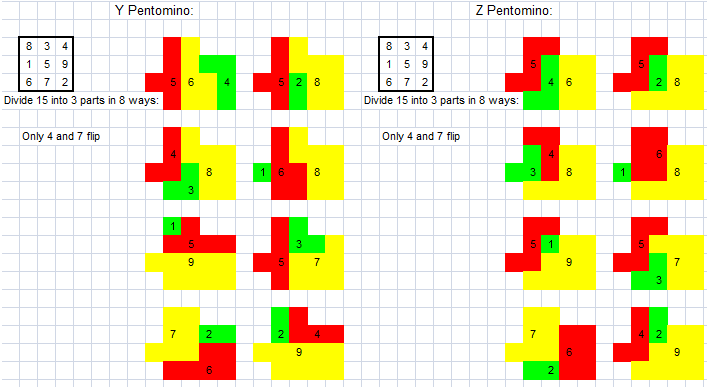 I have also noted how many of the 9 pieces need to be flipped through the 3rd dimension (= reflected) for each solution. 3 solutions require only rotation without any reflections (= flips). 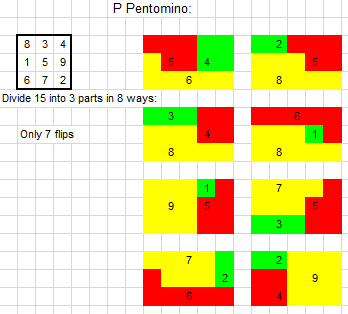 It would be an even more difficult challenge to find solutions for the other 9 pentominoes that do not require any of the pieces to be reflected. 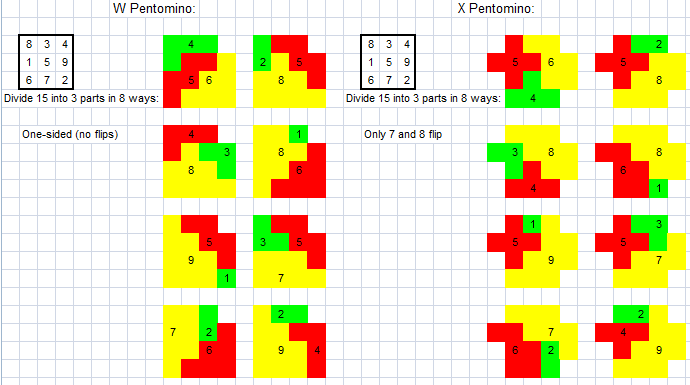 Many thanks to you and Lee Sallows for sharing this interesting puzzle concept with the rest of us!" Dat stukken niet moeten omgedraaid worden is natuurlijk heel goed als men een geomagisch vierkant laat leggen.